[THE INVESTOR] Korea Electric Power Corp. is reviewing plans for launching solar power projects in Jordan, local news outlets reported on June 16. A team from KEPCO had been dispatched to the United Arab Emirates and Jordan last month to seek out potential new projects in the region. The overseas expansion drive is thought to be fueled by uncertainties the company faces as an electricity supplier. With the government announcing plans for opening up the market to private sector, KEPCO is expected to face growing competition in the field that accounts for more than 90 percent of its revenues. According to reports citing KEPCO documents on the trip, the Korean power supplier’s delegation met with officials from Jordan’s National Electric Power Company and other related organizations. The Korean firm is now reportedly reviewing plans for seeking solar power-related contracts in Jordan. KEPCO is currently working on the biddings for UAE’s solar power plant in consortium withGS Engineering and Construction Co. and Hanwha Q CELLS Co. The contract, reported to be valued at $700 million, will see a 350-megawatt solar power plant built some 125 kilometers east of Abu Dhabi. 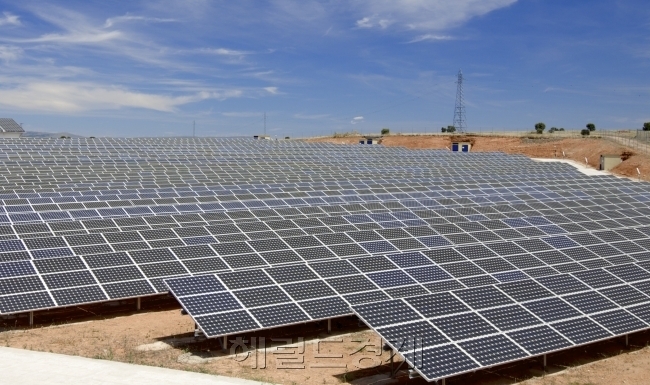 The company is also in the process of building a solar power plant in Japan’s Hokkaido in partnership with LSIS Co.